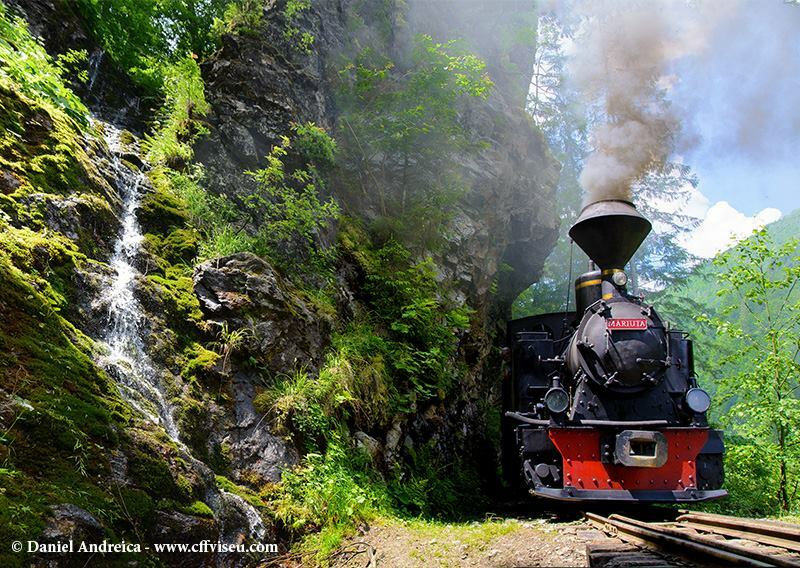 One of best ways to discover the far corners of Romania is by taking the steam-train known locally as Mocăniţa. The train used to run on a narrow gauge in the mountain regions of the country. Its utilitarian, raw-materials transport function is mostly gone today but the routes it served still offer beautiful views of less trodden paths. Some of the available itineraries bellow, if you care to hop on. This steam train runs from Vișeul de Sus, in Northern Romania’s Maramureș county to Paltin, for a two-hour ride on the Vaserului valley. The line was initially built for the transport of wood in the area, and it is still used as a forestry line, the last steam-powered remaining one in use in the world. The train runs from March to November. Tickets cost between RON 35 (EUR 7.7) and RON 64 (EUR 14). The schedule and price options for this year can be checked here. For those looking to linger a bit more in the area, a train-hotel is available next to the CFF railway station in Vișeul de Sus. A total of 20 sleeper compartments can be rented, each with two beds, with a total space for 40 guests. Further information here. 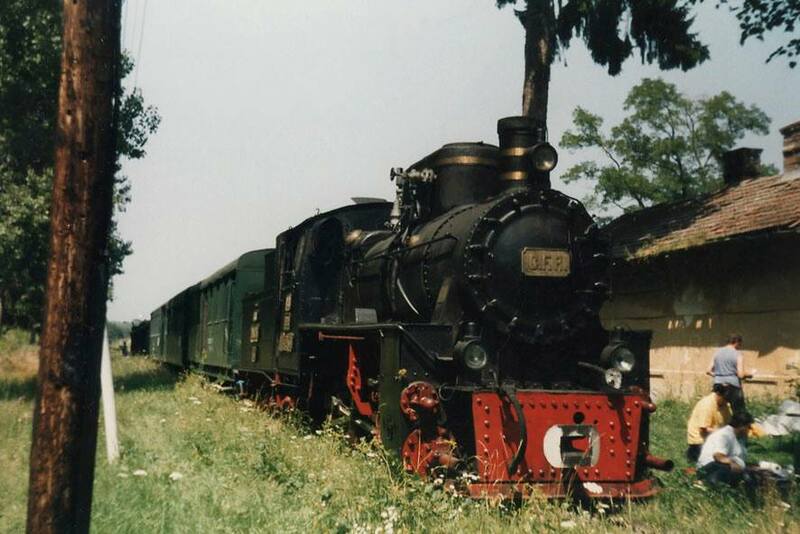 The only Mocănița train in Central Romania’s Hunedoara county travels on the 7 km route between Criscior and Brad. The train, which has a capacity of 130 seats, operates on this route twice a week, on Thursdays and Fridays, until September 8, 2017. 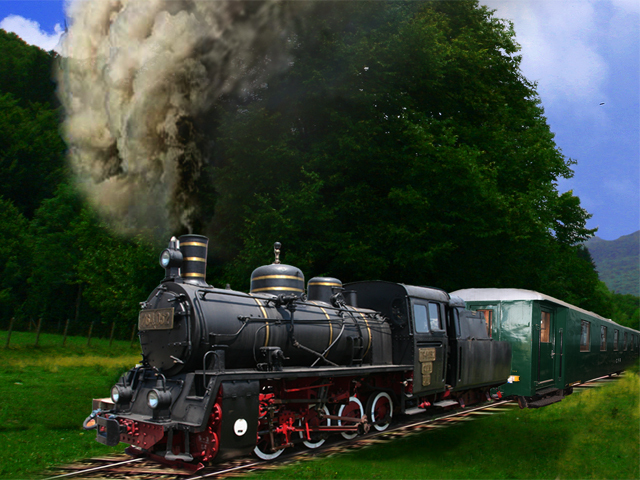 Besides the train ride, the tourists can visit the locomotive workshop in Criscio and the Gold Museum in Brad. On Thursdays, the market in Brad, located right next to Mocanita’s route, can also be visited. During the weekends, the train travels between Abrud and Câmpeni, in Alba county. The price of a round trip ticket is RON 20 (about EUR 4.4) for adults and RON 10 (some EUR 2.2) for children. Further info here. The train, called The Mocănița of Transylvania, takes a 35 km tour linking the Teaca locality in the Bistrița-Năsăud to Râciu in Mureș county. Departures start at 10:00, in the Teaca station. The train can carry a maximum of 60 people, and a minimum of 20. On route, stops are made at the Wolf’s Valley and in the Ocnița station. At Comlod, the tourists can visit the Teleki Castle. The first trips took place in May and June, and updates about future rides are made here. Going through the unspoiled landscapes of Bucovina, this steam train line was open for use in 1888, when it was used for forestry transport. It was initially 24 km long, linking Moldovița to Rososa. After various expansion works and the establishment of the Rascovei - Rasca Dreapta and Arsuri segment it reached 73 km. The current steam train line is 12 km long. 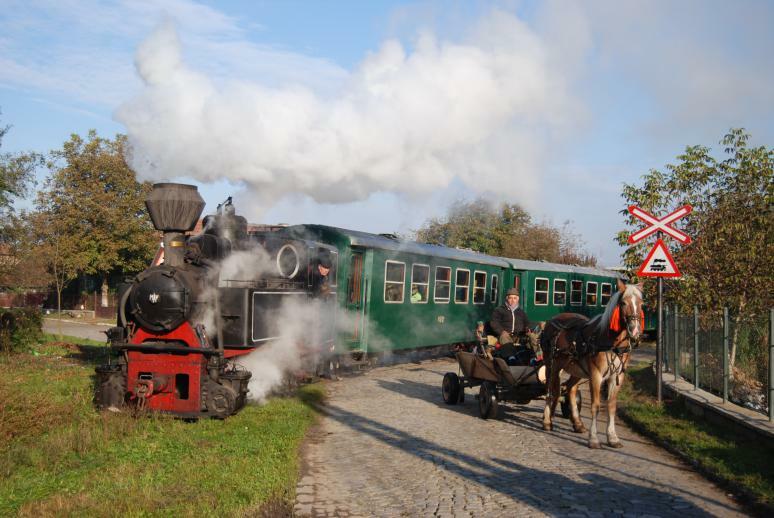 The train runs daily but a minimum of 10 passengers is required for the ride. The timetable is available here. This two-hour ride covers the 14 km distance between Sovata and Câmpu Cetăţii. The engine of the train was built in 1949 in Poland, and was furbished with components manufactured in Romania, in Reșița, in 1919. Until September the train runs daily, except Mondays. It leaves at 11:00, 13:30 and 17:00 from Gara Mica Sovata station. A minimum of 15 passengers is required for the train to run. Tickets cost between RON 10 (EUR 2) and RON 30 (EUR 6). All pricing options are available here. A diesel and a steam-powered engine alternate on this route. On the occasion of the Comandău commune days or upon request, the train also runs on the 7 km Comandău – Holom line, refurbished in 2007. 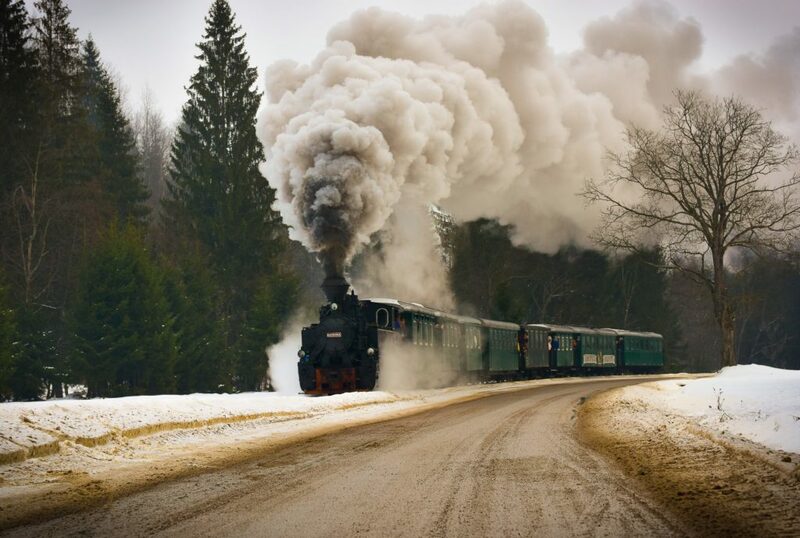 The train leaves from in front of the Clermont Hotel in Covasna, mostly during the weekends. The available dates can be checked here. Tickets cost between RON 8 (almost EUR 2) and RON 15 (EUR 3). 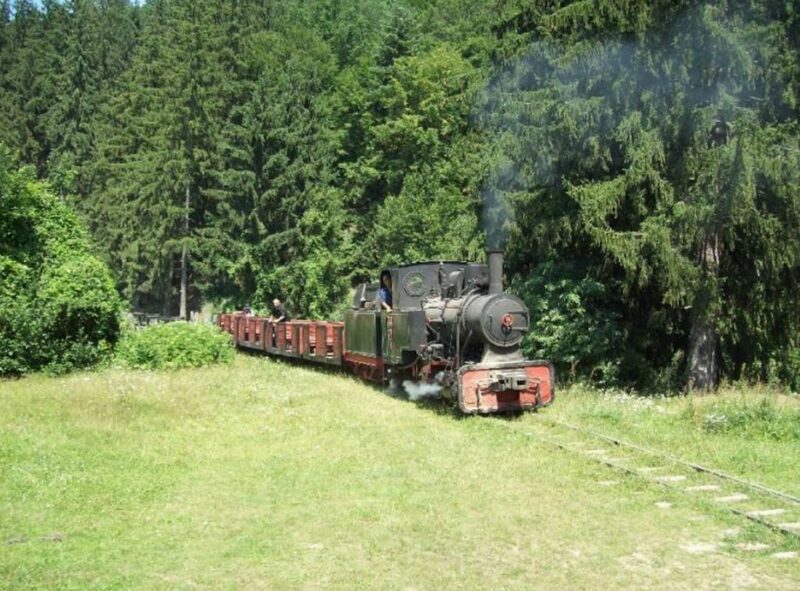 This route is not yet in use but Romanian volunteers and British railway preservationists have been working to re-open the historic narrow gauge railway line that runs in the Hârtibaciu valley, between Sibiu and Agnita. 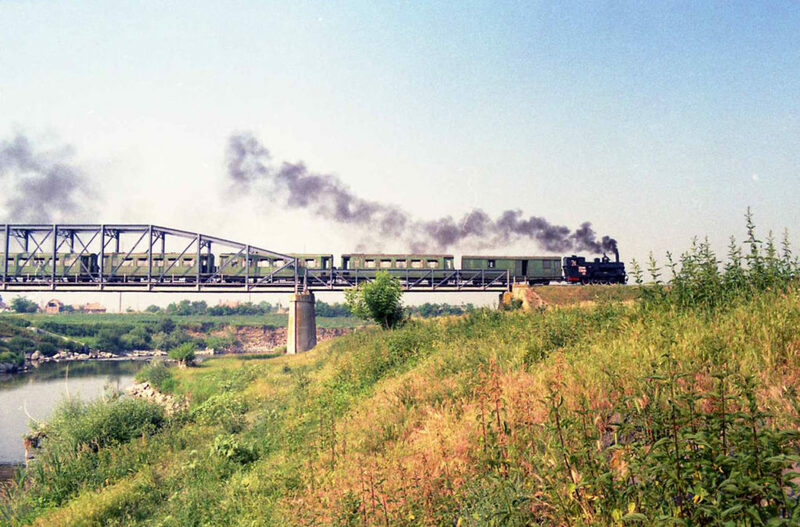 The preservation and restoration project was initiated by the Mihai Eminescu Trust, a local foundation sponsored by Prince Charles, in 2006, just five years after the closure of the railway. More info on how anyone can help the project here.